Glass filled with drinking water from tap, isolated on the white background. Nitrate in groundwater and drinking water, which primarily comes from fertilisers used in the agricultural production, has not only been subject to decades of environmental awareness – it has also been suspected of increasing the risk of cancer. 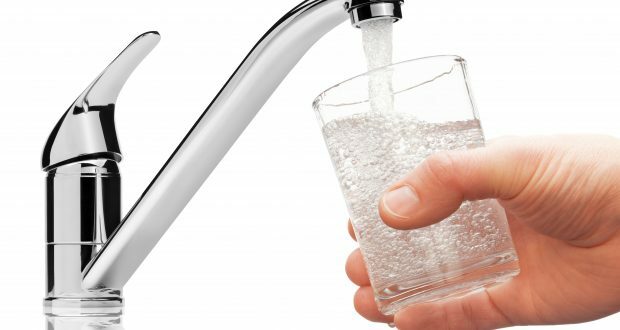 The largest epidemiological study ever carried out in this area now shows that there is a correlation – also when the amount of nitrate in the drinking water is far below the current drinking water standard. The results have just been published in the scientific journal International Journal of Cancer. The researchers have calculated how much nitrate Danes have been exposed to where they lived and compared this to information about cancer diagnoses in Denmark. Researchers have managed to follow a total of 2.7 million Danes during the period 1978-2011 and the study is based on nitrate analyses from more than 200,000 drinking water samples, making the study the largest and most detailed in this area. “Each year, approximately 5,000 Danes contract colorectal cancer, which can have many causes. Our study shows that nitrate in drinking water may be one of them. In the study, people who were exposed to the highest concentration of nitrate in drinking water (above 9.3 mg per litre of water) had a 15 per cent greater risk of getting colorectal cancer compared to those who had least exposure (less than 1.3 mg per litre of water). The current drinking water standard is 50 mg nitrate per litre of water, but the increased risk of cancer could already be seen at concentrations greater than approximately 4 mg nitrate per litre of water,” says Jörg Schullehner, PhD from the Department of Public Health at Aarhus University. He is the man behind the research results together with researchers from the Geological Survey of Denmark and Greenland (GEUS) and the National Centre for Register-based Research at Aarhus University. The drinking water standard in Denmark and the EU complies with the recommendations of the World Health Organization WHO. These recommendations have been determined in order to avoid cases of ‘Blue Baby Syndrome’, where nitrite poisoning prevents oxygen saturation in the body. This syndrome only affects infants and very rarely occurs in Denmark. The research results confirm a suspicion that has long been held; that nitrate increases the risk of colon and rectal cancer. The health risk arises when nitrate is converted into carcinogenic substances that are known as N -nitroso compounds in the body. Colorectal cancer is one of the most common forms of cancer in Denmark and the third most frequent worldwide. “The conclusion in our study is in line with the findings of several international studies, which indicates that the drinking water standard ought to be lower in order to protect against chronic health effects and not only acute effects such as Blue Baby Syndrome. With identical results from different studies, this points towards a need for reconsidering the drinking water standard,” says Professor Torben Sigsgaard from the Department of Public Health at Aarhus University, who has also been involved in the research project. Research from GEUS shows that over the last decades, nitrate concentrations have been reduced at the public waterworks from which the vast majority of people in Denmark get their water. “Nitrate concentrations are low in the majority of public waterworks. Today, the problem is mainly concentrated in the small private wells, as well as places with high nitrate leaching and where the local soil- and geological conditions mean that nitrate can more easily be leached to the groundwater. It therefore makes sense to focus our efforts here,” says Jörg Schullehner.